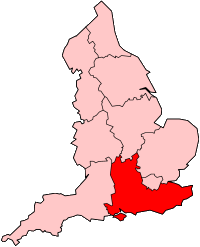 South East England consists of the counties of Berkshire, Buckinghamshire, East Sussex, Hampshire, Isle of Wight, Kent, Oxfordshire, Surrey and West Sussex. The region covers just under 19,096 square kilometres and has a population of just over 8 million. A clinic is run by local patent agents at Southampton Central Library on the last Wednesday of the month between 17:00 and 19:00. Local inventors can also access NIPC Clinics through our website or call us on 023 9316 2030. The Wessex Round Table of Inventors is based in Southampton. It holds regular monthly meetings and offers advice on funding, IP, licensing, marketing and other matters. It also has an excellent blog and website. Portsmouth Central Library is the only PATLib library in the region. However, clinics are held not there but in Southampton. We are building up a network of local patent and trade mark attorneys, specialist solicitors and other professionals in South East England. You can access that network by calling us on 023 9316 2030. We have a page on inventors resources in the South East on the Inventors Club website which we shall update and expand as and when we can. 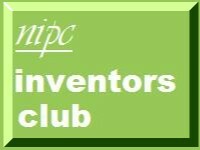 We have an Inventors Club Group on Linkedin and you can of course join the Inventors' Club. The rules are here and use this form to join.